A national leader of the All Progressives Congress (APC), Sen. Bola Tinubu, has said that he would accept the result of the presidential election even if it did not go the way of the party. 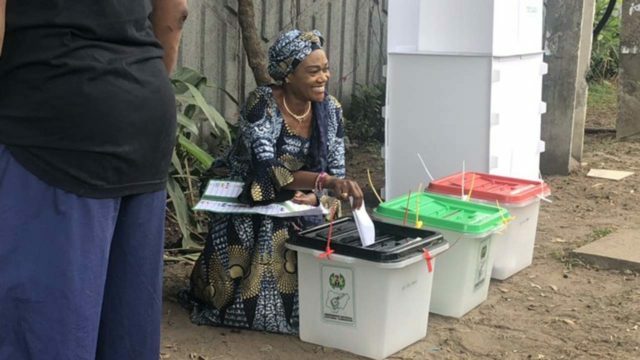 The News Agency of Nigeria (NAN) reports that Tinubu spoke with journalists after voting at Polling Unit 047, Ward 3, Ikeja at 11:20am. “My hope and determination of my party is that we are winning this election because we have the support of the masses and if you look at our rallies, it is an indication of our party’s popularity that we are the populace. “Democracy is the toughest way of selecting a leader but the best system. With resilience of the people and strong determination we are getting there,” Tinubu said.